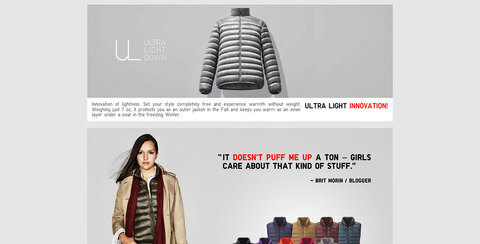 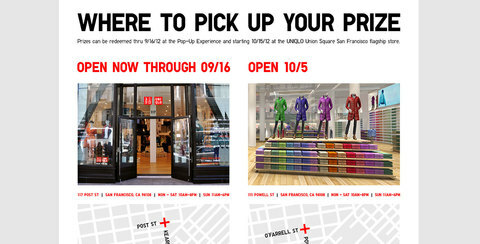 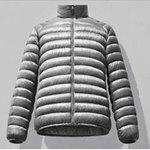 Uniqlo San-Francisco store opens with Strong social sweepstakes featuring Japan’s favorite Cat Maru. 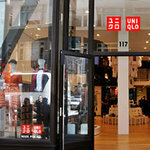 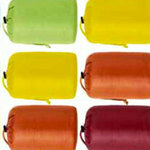 Entering into the American market is difficult for any retailer, especially in a market as picky as San Francisco. 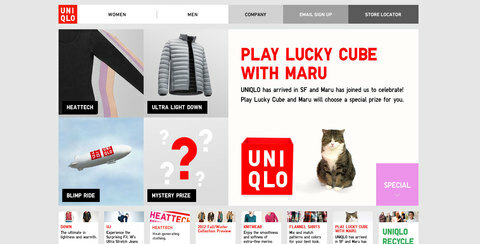 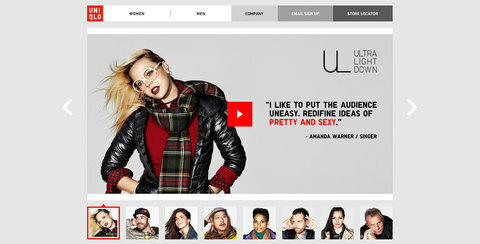 But as one of the largest retailers in the world, Uniqlo had a plan and it involved the most famous online cat- Maru, who loves jumping in and out of boxes. 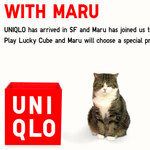 After signing in through facebook the users would get see Maru pick their prize with online video of Maru doing what Maru does… jump in boxes! 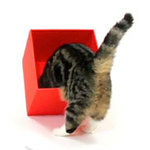 Maru would jump into one of 5 boxes, each representing a different type of prize, which included free merchandise and even a Blimp Ride over San Francisco. 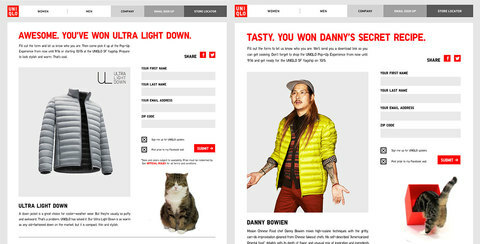 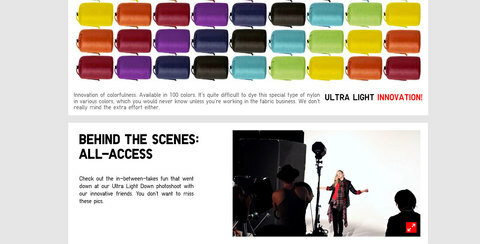 Lucky Cube with Maru was developed by Alien Communication for Digitas, and was part of a larger store opening campaign which brought heavy traffic to the San Francisco store opening, and caught huge online press.